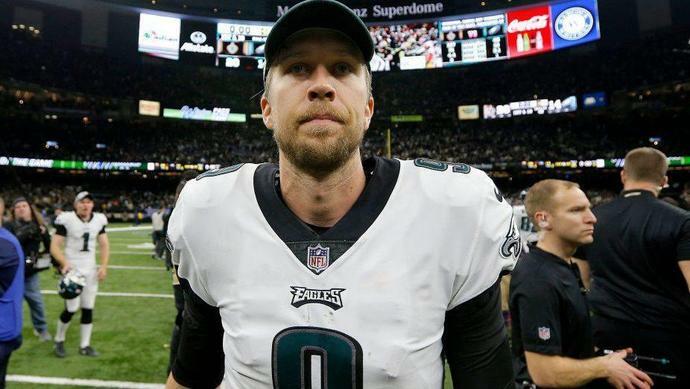 After the Eagles lost to the Saints in the playoffs, quarterback Nick Foles said what sounded like goodbye to the Eagles but his exit from Philadelphia isn't a straightforward one. The Eagles have a $20 million contract option for next season and Ian Rapoport of NFL Media reports that they are expected to do just that to kick off a larger dance between team and player. Foles can buyout that option by paying the Eagles $2 million, which is made easier by hitting several incentives in his contract this year as well as the Eagles giving him a $1 million bonus he just missed qualifying for in the regular season. That would put Foles in line to become a free agent, but the Eagles could further complicate that by using the franchise tag on Foles. That would allow the Eagles to trade him as long as Foles signs the tag, which comes with a salary in the neighborhood of $25 million. It remains to be seen if that's how things are going to play out, but the first step in the whole process appears to be on the way.